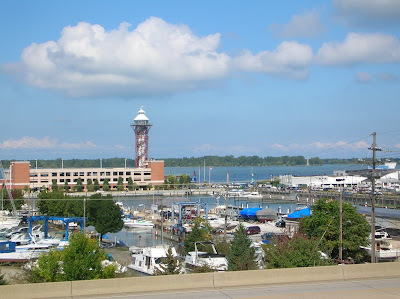 This weekend we finally got a chance to visit one of Erie's hidden treasures: the mile-long walkway along the edge of the bluffs overlooking the Bayfront highway and Presque Isle Bay. This partially hidden and not oft traveled path--except at noon time by nearby health-conscious employees--begins downtown across from Hamot Medical Center and continues west all the way to Liberty St.
On its south side is a blend of 100 year old simple city homes mixed in with more modern new or restored lofts and townhouses with large front windows facing north. A couple playgrounds and lots of natural green space are also along the path. 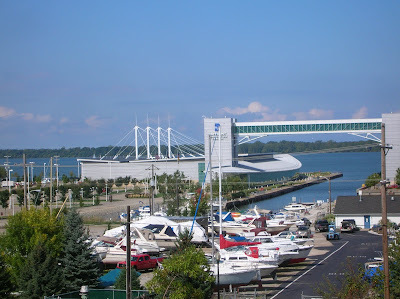 But the north side....the north side is a continuous, uninterrupted view of the bay, with all its marinas, restaurants and waterside parks viewed from 50-100 feet up (See two samples below). A blest way to spend an hour and a half on a beautiful early autumn afternoon! 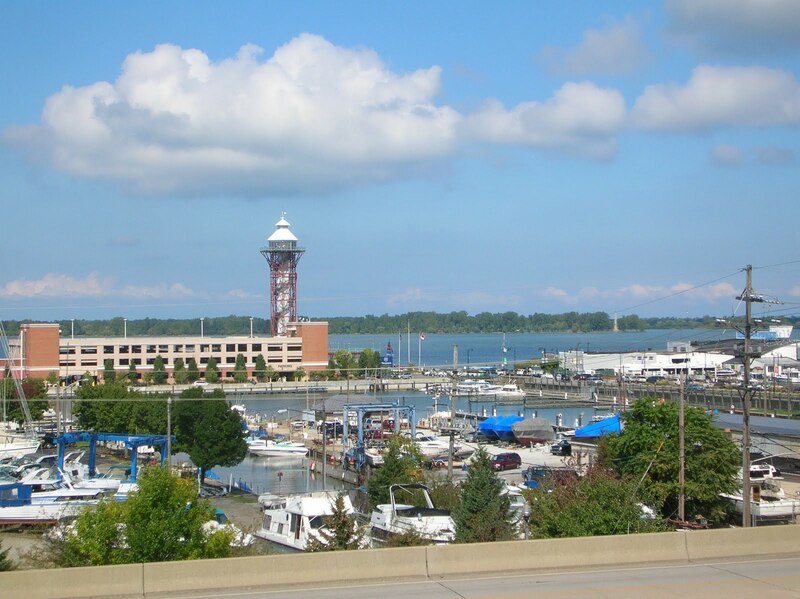 Erie's bicentennial tower (1795-1995) and State Street marinas. Marinas and the Bayfront Civic Center. The walkway connects to the Sheraton Hotel. 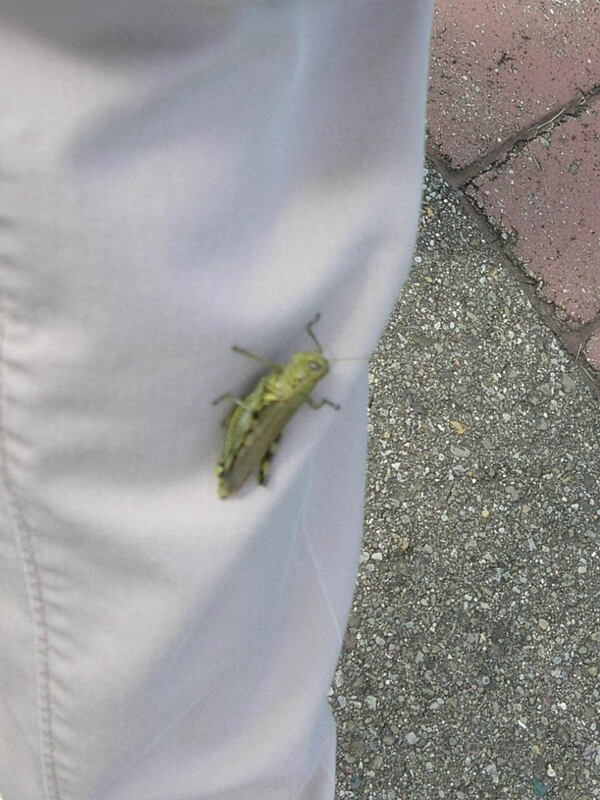 And on our walk we had an up close and personal experience with nature--ta da: a grasshopper that hitched a ride on my pant leg! 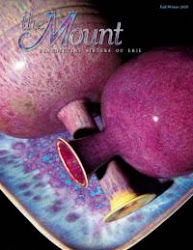 Couple new entries on our community website, here.